I want to get ready for interview. I am nervous in an interview.I don’t know how to answer with confidence. I have gone for many interviews but have failed though I have good education. I am a fresher. I don’t have work experience. What do I say in the interview? What should I talk about myself in an interview? Did you know that your resume tells a lot about you? When you have a good resume, the HR person in the company has a good impression about you. You can use the following resources to help you build your resume. 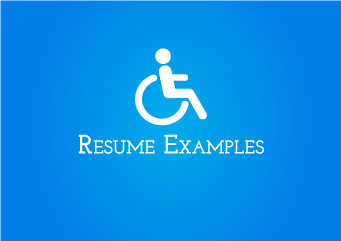 See examples of resumes where people have made mistakes and understand the impact of the same. Use this checklist to make sure that you have not missed any important information. 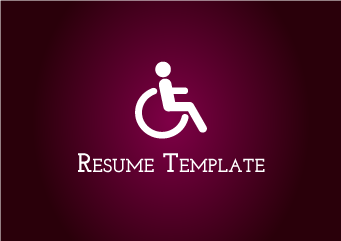 This template will help you to have a resume with good formatting. 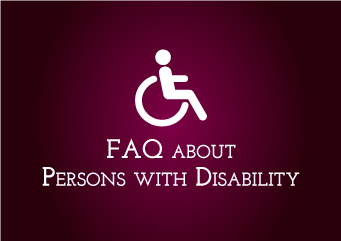 Company managers have questions about your disability; but, they hesitate to ask. 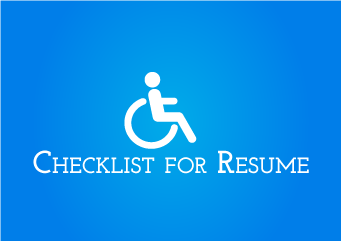 So, make a FAQ document to clear doubts the interviewer has about your disability. You may be afraid to go for an interview because you may be worried that they will reject you. Watch the following video to gain a deeper understanding about the objectives of an interview from the companyâ€™s perspective. Watch this video to understand that companies are looking for candidates with the right skills and attitude for the job. Step 3 - I am nervous in an interview.I don't know how to answer with confidence. Action gives you confidence. You will get confidence only if you believe in yourself. How you feel about yourself doesn't depend on your theoretical knowledge. In a job, education and skills will help but more importantly your actions matter because you will be working every day. Watch the video to learn how to build your confidence. Listen to Shanti Raghavan, founder of Enable India talk about the importance of working on improving your skills, building your attitude to be successful in your job. Step 4 - I have gone for many interviews but have failed though I have good education. Interview is not about failure or success, it's a learning process. If you don't get through the interview, find out the reasons. Maybe you have to improve your skills. If your attitude does not match the job, you have to reflect and decide the type of job you are looking for and learn the attitude required. Watch this video to understand that if you did not get a job, you may be protected from getting the wrong job which will make you unhappy. Watch this video to understand that every job requires specific skills and attitude. When you learn more about the skills and attitude you have, you can apply for jobs that suit you. Can everyone become a doctor? Teacher? Soldier? Every job has different requirements. When you know more about the job, you can be more prepared in the interview. Watch this video to understand the importance to knowing about your job profile. Step 5 - I am a fresher. I don't have work experience. What do I say in the interview? Project work is a great way to get experience. Doing project work helps you discover your skills and improvement areas. It is also a great way to build your social interaction skills. While waiting for a job, do project work to gain experience. Watch the video to learn how project work helped Arjun to answer questions in an interview. Step 6 - What should I talk about myself in an interview? There are no strict rules about what to say. However, you can give personal information and talk about your hobbies, your goals, your strengths and improvement areas briefly. Make sure to give relevant information without taking too much time. Watch the video to learn how to talk about yourself in an interview. You will also learn what information is relevant to share. The interviewer may ask you if you have any questions to understand how curious you are about the job you have applied for. When you ask good questions about the company or your job, the interviewer will think you have done homework on the job and company. Watch the video to learn the importance to asking the right questions in an interview.